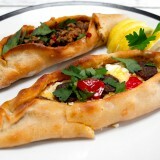 Delicious and easy to make Turkish Sigara Borek. Deep fried Hallumi and fresh mint rolled in filo pastry. 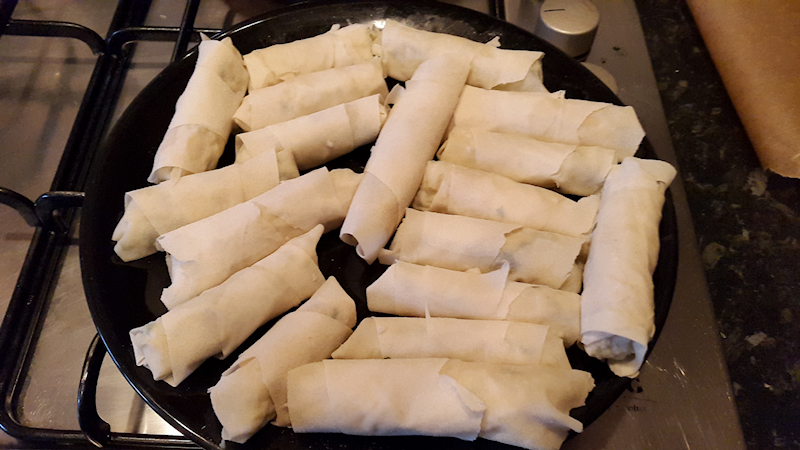 I have a great passion in stuffed filo rolls. They can be meaty or veggie ones, I don’t mind. 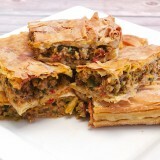 As long as I can taste the crunchy filo and an interesting filling, I am good. 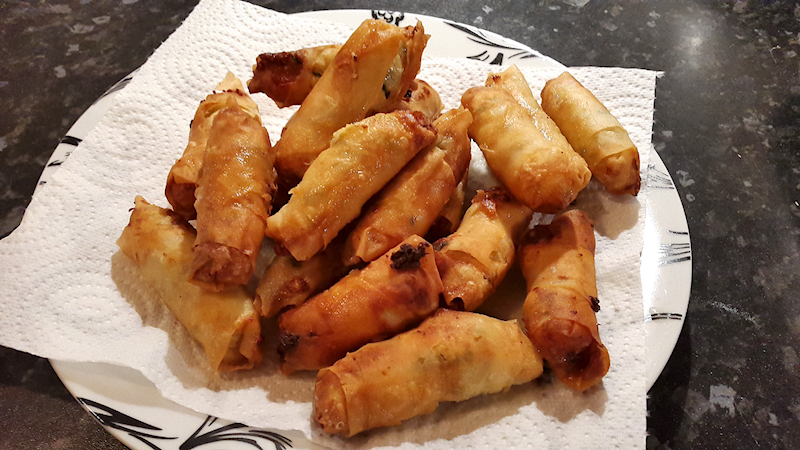 No one can make better filo rolls than people from the eastern Mediterranean countries. 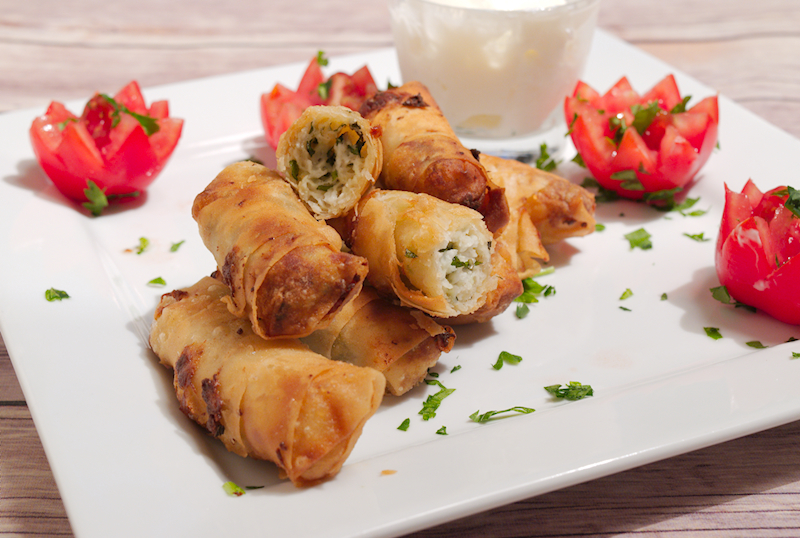 Sigara Borek is coming from Turkey and is exactly that. 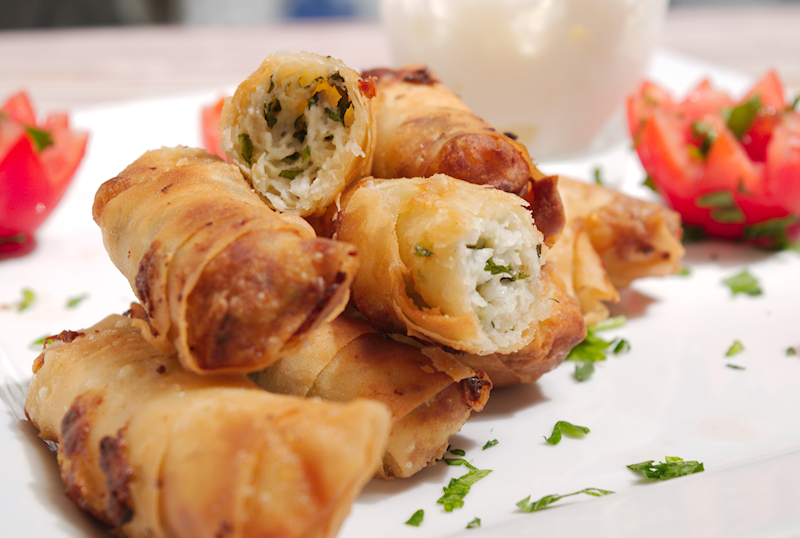 Fried filo rolls stuffed with grated Hallumi cheese and fresh mint. Nothing more, nothing less. 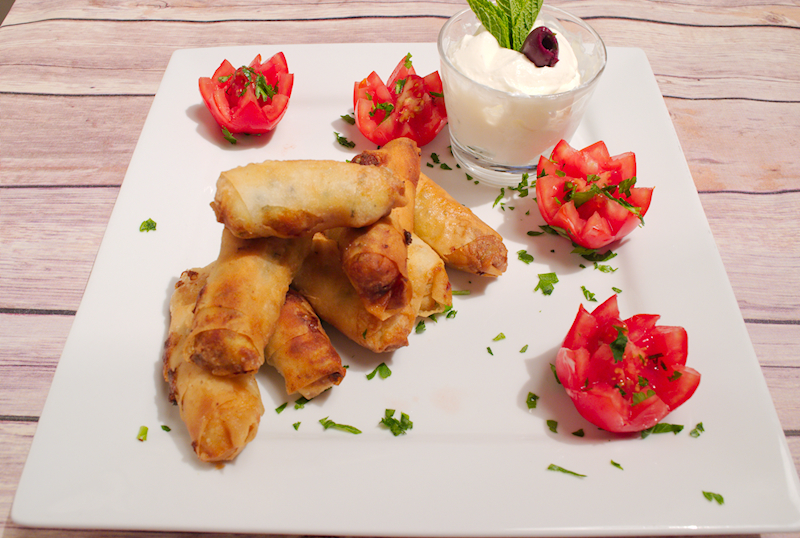 What is important in Sigara Borek is the filo that you are using. I used village handmade filo from Greece this time and it worked fine. I am sure you can do it with basic filo sheets you find in many supermarkets. If you want to taste the real thing, try to find the Yufka sheets, the traditional Turkish pastry they use for Sigara Borek. I am sure you can find it in a Middle-East deli or something similar. 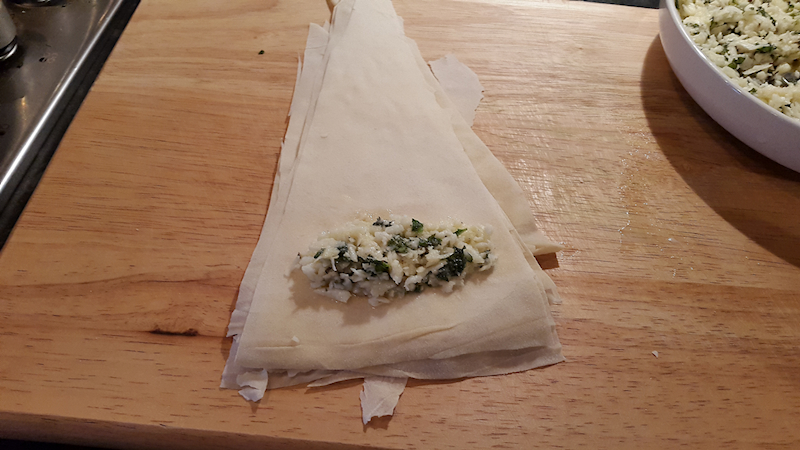 A special thanks to Kondje for actually making the Sigara Borek! 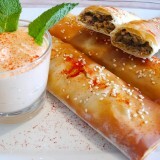 3-4 filo sheets or Yufka pastry. 250 gr (9 oz) Hallumi cheese grated. A generous handful of mint leaves finely chopped. 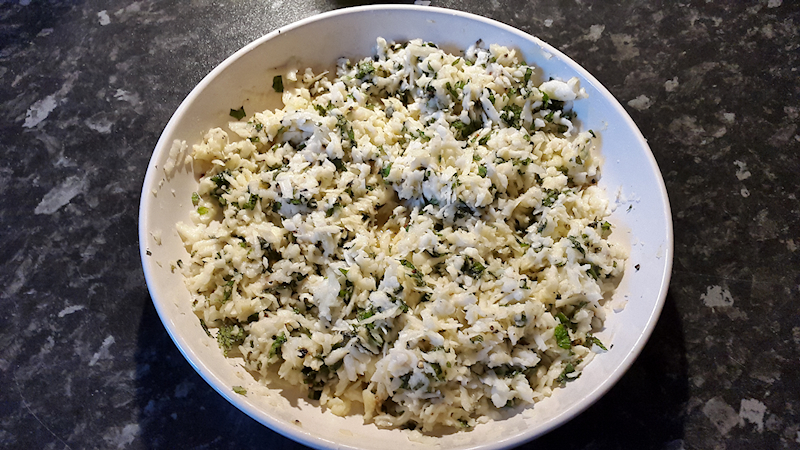 Add the grated Halloumi, mint and egg in a bowl and mix well. Season with pepper to taste. Cut the filo or Yufka sheets in triangles, ~ 20 cm (8 inches) wide. Add a tablespoon of the Halloumi mixture close to the top. Roll the Sigara Borek making sure the edges are sealed by folding part of them (see in the photo). Repeat with the rest of the sheets until you finish the mixture. 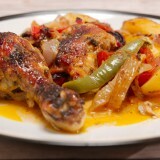 Add the sunflower oil (~ ½ lt, 17 fl oz) in a deep pot and heat it up on high heat. 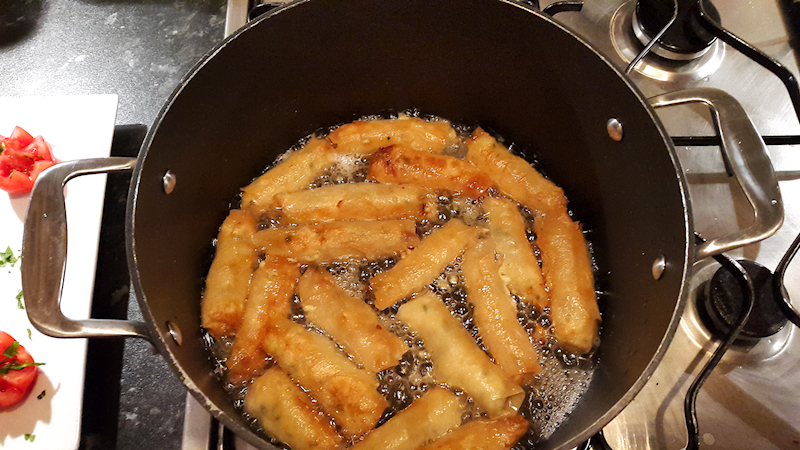 When the oil is hot, add the Sigara Borek and deep-fry them until golden brown. Depending on your pot, you may need to fry the Sigara in two batches. Remove from the pot and place them on a tray covered by a kitchen towel on the bottom to absorb the excess oil. Serve the Sigara Borek warm.